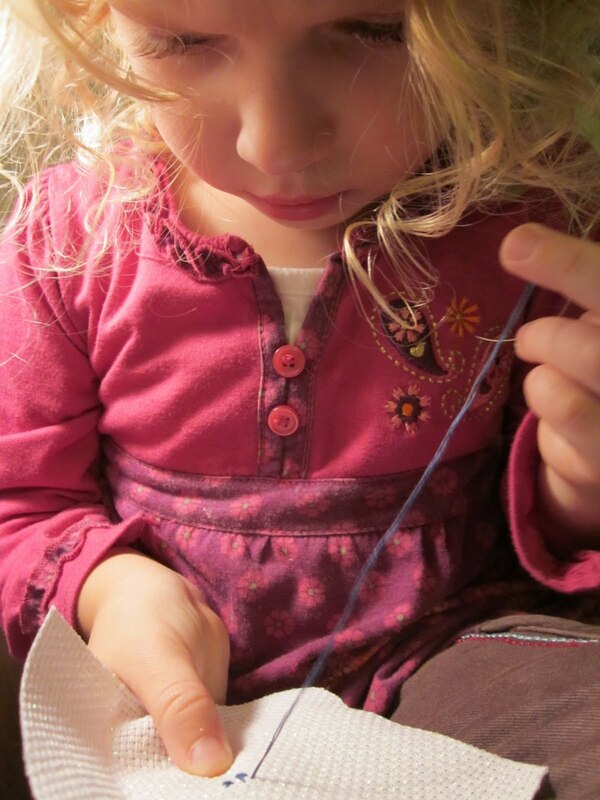 My little girl Lena turns 4 in a week, and said to me this afternoon, "will you stitch me a Bloody quilt?" And then I remembered she named one of her toy dinosaurs Bloody. Because her birthday is in a week, I couldn't say no. 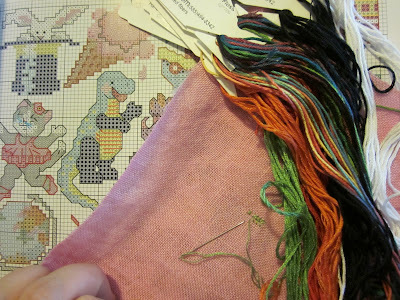 So she and I looked through my books and found a little dinosaur cross stitch motif that looks a little like toy dinosaur Bloody and found colors to match. And she wanted pink fabric, of course. And then she decided she wanted to do "kid stitching" while I was working on this. 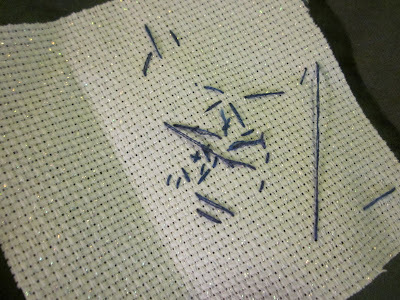 So I found some wide weave aida (with sparkles, that made her happy) and a wide needle, she picked out some purple thread, and I threaded the needle and showed her how to make an x. So she went to work. Look at the concentration on that face. She worked at it very diligently for a long time, and even asked for more thread a couple times. She started out very well with tiny stitches. I was impressed. 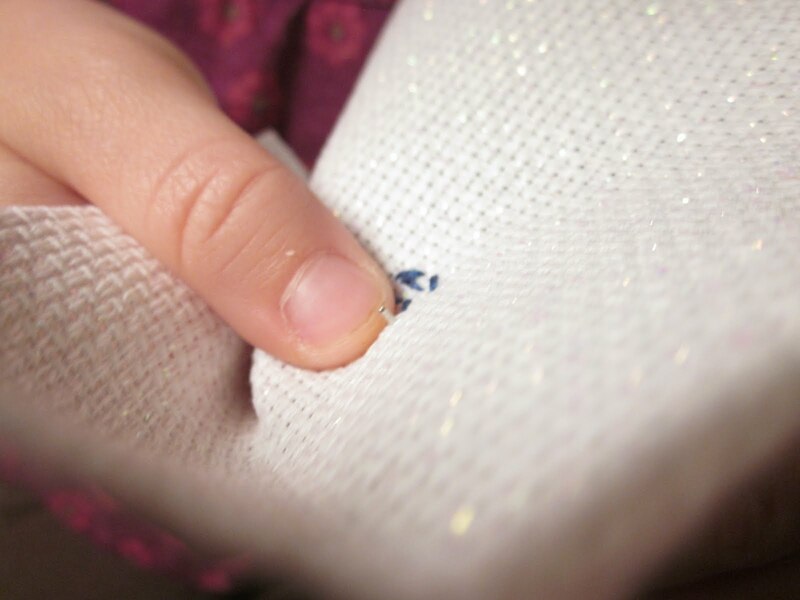 As she became more confident, the stitches got larger. I think that's the back we're looking at there--hard to say. 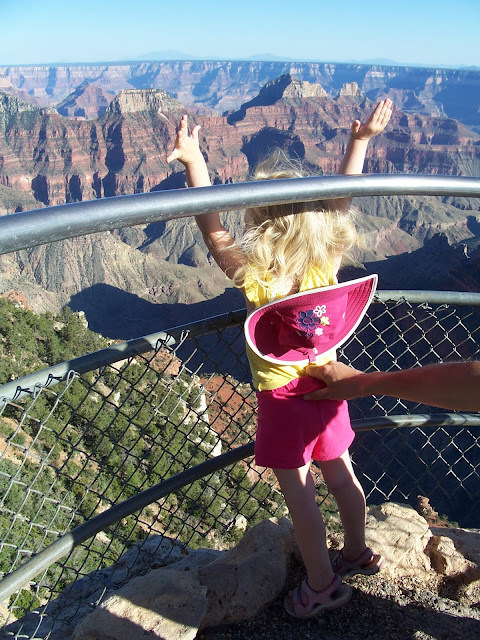 It was fascinating watching her nimble little fingers...not bad for an almost-4-year-old. She's a natural. She says it's the cliffs of the Grand Canyon. No joke. Maybe the apple doesn't fall that far from the tree. I taught my grand-daughter Kirby to stitch when she was 4. Now she will be 21 in December and she is studying Fashion and Design at Uni. 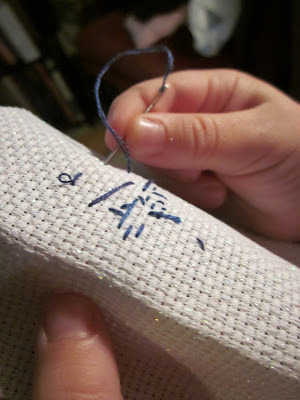 She still stitches and incorporates it into her coursework whenever she can.